Dedicated to carrying out charitable and educational activities to assist the world’s poor and disenfranchised achieve economic independence, self-worth and dignity. Mpower Now’s mission is to promote programs which cultivate leadership, education, and self esteem. the Herbalista Free Clinic based in Atlanta, Georgia. Please consider a tax deductible donation to MPower Now so the G-thamini Youth Group can continue to nurture and stimulate the young minds of Mukuru. If you shop with Amazon, please consider shopping via the link below and Amazon will donate 0.5% of eligible purchases to MPower Now. 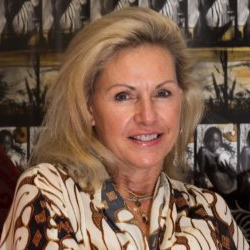 Donna Rohling is the founder and current president of MPower Now. 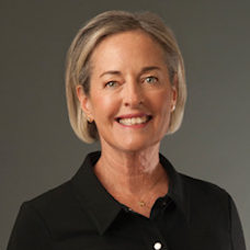 Donna has spent many years advising for and working on various nonprofit boards, such as Grameen Foundation, Red Cross International, and the Anti-defamation League, to build and strengthen under-served communities. She combines her passion to serve with many years of international business experience to mentor the G-thamini team. Judge Wendy Shoob is an Atlanta native who has served on the board of the Zaban Couples Center, a nonprofit dedicated to providing life skills to couples currently experiencing homelessness. She also serves on the board of GEEARS, focused on providing early childhood educational opportunities in Atlanta, and is providing consulting support for the non-profit Georgia Appleseed regarding a mass incarceration project She served on the Superior Court of Fulton County, Georgia for 20 years and continues to work as a Senior Judge. Bonnie Capsuto is a founding board member of MPower Now and has served as treasurer for many years. She served on the board of the Anti-Prejudice Consortium, a nonprofit that organizes the Power over Prejudice Summit, bringing together private and public middle schools with a wide range of demographics to tackle issues of racism, stereotypes, prejudice, and bullying. 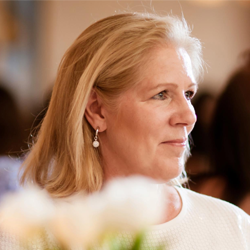 Lisa Christoffersen, a Nairobi based event organizer has a wealth of experience in sales and marketing with global corporations in Africa, the Middle East, Southeast Asia, and the Nordics. Lisa brings an artistic, energetic, and passionate attitude with unique exposure with large international corporations, smaller private sector companies and local government institutions. Sean Merrill is the owner of an Atlanta based management consulting agency. A graduate of the University of Chicago, Sean is passionate about alleviating poverty and advancement through education. He offers a systems-based approach to problem solving.